Meet the AT Osprey favorite, the Exos 58L. For an AT thru hike, weighing in at 2 lbs 10 oz with over seven exterior pockets this pack has more than enough storage and organization. Additionally, the pack is supportive and breathable with a ventilated and slotted airflow back. 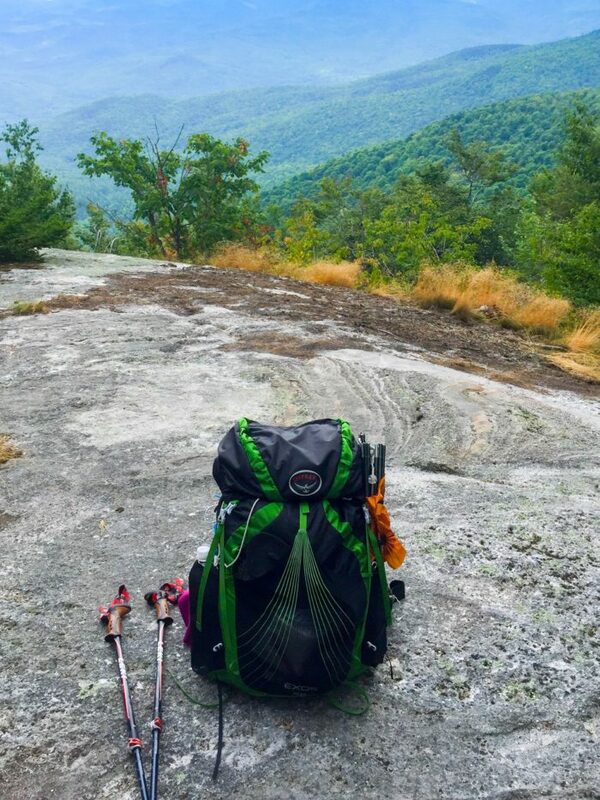 After using the Osprey Ariel 65L Backpack for 1500 miles of my AT thru-hike, I knew I needed a lighter backpack. Thus, leading me to purchase the Exos 58L, which I used for the remainder of the trail. I was amazed by the difference in weight. Because, it really made a difference. Lightweight: By switching to the Exos 58 from the Ariel 65, I took off 2.5 lbs of weight. And, wow, did it feel great. The backpack is lightweight but is still able to distribute weight well. However, it is important to note the carrying capacity is 30 lbs. Personally I found this to be true. And, when my pack weighed over it was uncomfortable for my back and shoulders. Side Mesh Pockets: I really liked the side mesh pockets on this pack. I was able to stash plenty of snacks as well as my phone and AWOL guide book. Typically, one mesh pocket carried the aforementioned items and the other carried my sleeping pad and rain gear. When listening to audiobooks, I was able to store my phone in the side mesh pocket without a problem. Overall, I was surprised at how well items could be secured in the side mesh pockets. Removable Features: Please note the removable sleeping-pad straps, tool attachment and brain. Although I kept all my straps and the brain, for those looking to reduce weight this pack can go even lighter! Yes, I could have removed these items to reduce weight. But, I found them to be useful. For example, the sleeping pad straps stored my tent poles and kept them nice and snug to the pack. And, I loved the tool attachment feature. I could quickly stash my trekking poles when I wasn’t using them. Lastly, I couldn’t part with the brain. I liked the additional storage and was ultimately willing to carry the weight. 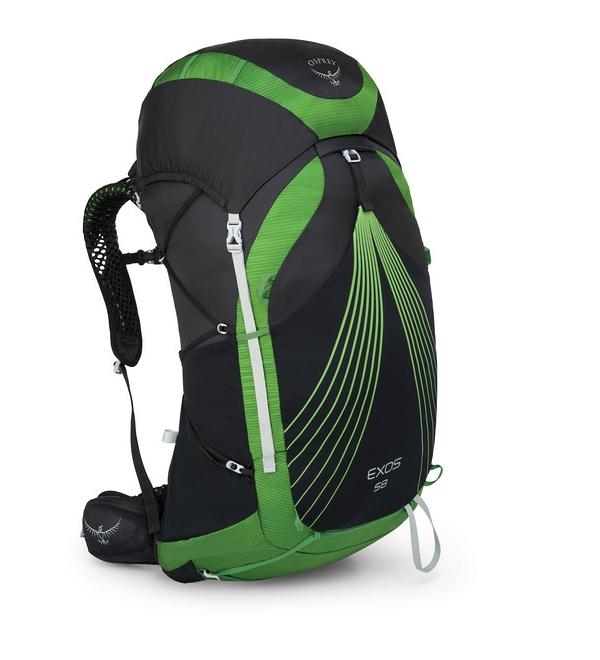 Breathability: The Osprey Exos 58’s mesh Airspeed Suspension puts the pack off your back, allowing for generous airflow. This was crucial in the summer months on the trail. 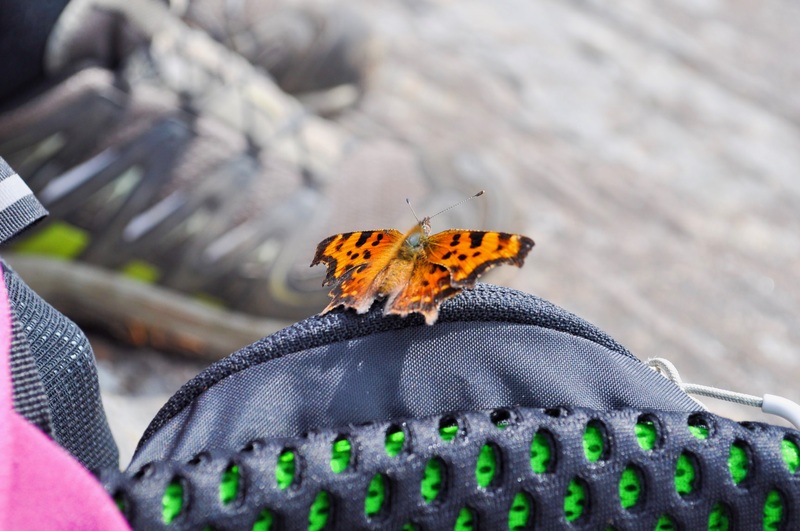 The breathability was key to keeping me cool and my pack from turning into a sweat rag. Carrying Capacity: As previously mentioned, the carrying capacity for this pack is 30 lbs. I really love how lightweight it is and there really is no need to carry more than 30 lbs on the Appalachian Trail. I, however, somehow found ways to carry more than 30 lbs and I found the pack to be a strain at these times. But, this is 100% my fault.Moreover, for trails that allow for gear, water and food to be under 30lbs, this pack is great. Hip Chafe: For some reason, this backpack would randomly bring on a case of bad chafe on my hips where it rested. I tried everything to combat the hip chafe from chafe balm to vaseline to using pads to sanitary pads to cushion the area. Small Hip Pockets: The hip pockets were small. Or, at least smaller than the hip pockets on the Osprey Ariel 65L. However, I typically stored smaller items like sunscreen, blister bandaids and a GoPro in the hip pockets. You can certainly find a use for them but its a bit of a squeeze. Seriously, this is an amazing lightweight pack. I’m a little disappointed I didn’t pick it up sooner in my thru-hike. Given the price-point, weight and Osprey’s customer service, I’d say pack is a great bang for your buck. Looking back, I could have made it work with an Osprey Exos 48L if I wanted to take off more weight. As important as it is to consider the weight of your pack, it’s equally important to know how to pack a pack. 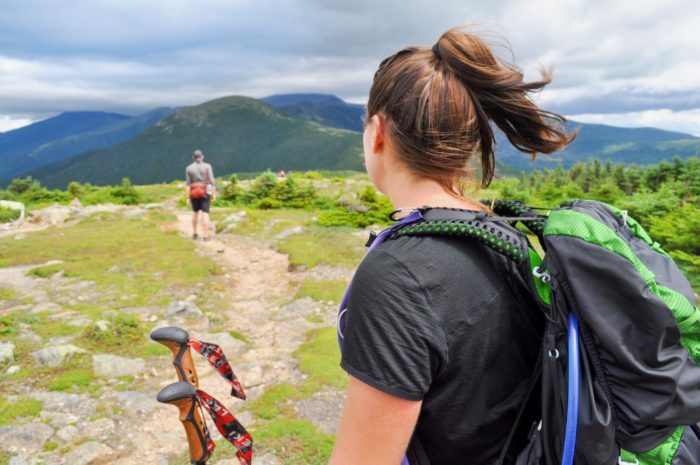 Therefore, with lightweight packs its important to adjust load lifters and distribute weight appropriately throughout a pack for maximum comfort. There are so many ways to pack a backpack but I found this REI post to be super helpful. Although this pack is designed for longer trips, I still use it for day hikes because its so lightweight. Therefore, I think its one of the most versatile packs I’ve used. In conclusion, I firmly believe the Osprey Exos 58L is a great option for a lightweight pack that doesn’t sacrifice storage and organization. It’s my go to adventure pack.